The best PR efforts start with the brand. 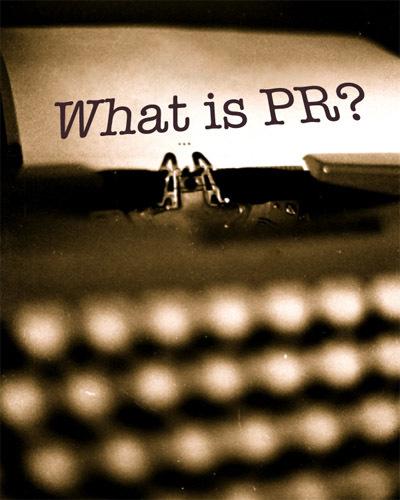 PR should nurture and nourish your brand, and ring true to your audience. Human beings love great stories. Find your most compelling stories, and tell them strategically. Consider your audience. Reach them where their interests intersect yours. Hone your messages. Simplicity. Clarity. Focus on just 3 or 4 messages, and perfect them with great writing. Provide great visuals. Compelling graphic design and iconic imagery make your message stick. Prepare and rehearse. Anticipate questions. Practice answers. Be sure the people who will deliver your message are equipped to succeed with proper social/media training. Control your own media, and frame the conversation for others. Tell your stories directly and engage your audience with blogs, Facebook, YouTube, Twitter, Tumblr and eNewsletters. Boutique PR firms like ours offer great creative chops, are cost effective and have experienced people. The people you initially meet should be the ones who work on your account. Build authentic relationships. Meet face-to-face with the media whenever possible, and share your stories with confidence and transparency. Engage your employees, friends and vendors. Expand your inner circle to include everyone who can spread the word and feed the energy. Trust them with the truth. Define what success looks like. Always articulate what you are trying to achieve with a PR campaign – so that everyone will know when you’ve done it! What has your most successful PR initiative been and what did you learn along the way? This entry was posted on Friday, May 4th, 2012 at 10:29 am and is filed under Attracting Clients, Building Your Brand, Developing Your Platform. You can follow any responses to this entry through the RSS 2.0 feed. You can leave a response, or trackback from your own site.